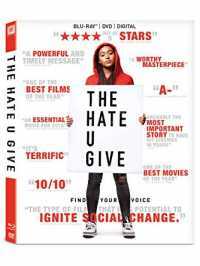 The Hate U Give is a 2018 American crime drama film directed by George Tillman Jr. with a screenplay by Audrey Wells, based on the 2017 novel of the same name by Angie Thomas. The film stars Amandla Stenberg, Regina Hall, Russell Hornsby, K. J. Apa, Common, and Anthony Mackie, and follows the fallout after a high school student witnesses a police shooting. The Hate U Give premiered at the 2018 Toronto International Film Festival on September 7, 2018, and was released in the United States on October 5, 2018. The film received critical acclaim, with many praising Stenberg’s performance, and grossed over $32 million against its $23 million budget.